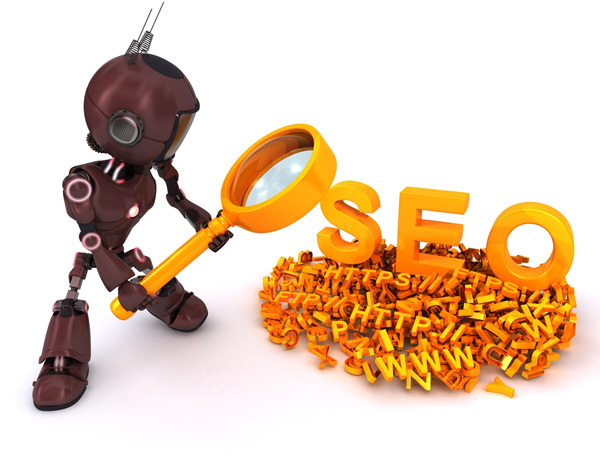 SEO (Search Engine Optimization) affects the visibility of your website in unpaid, organic search results. 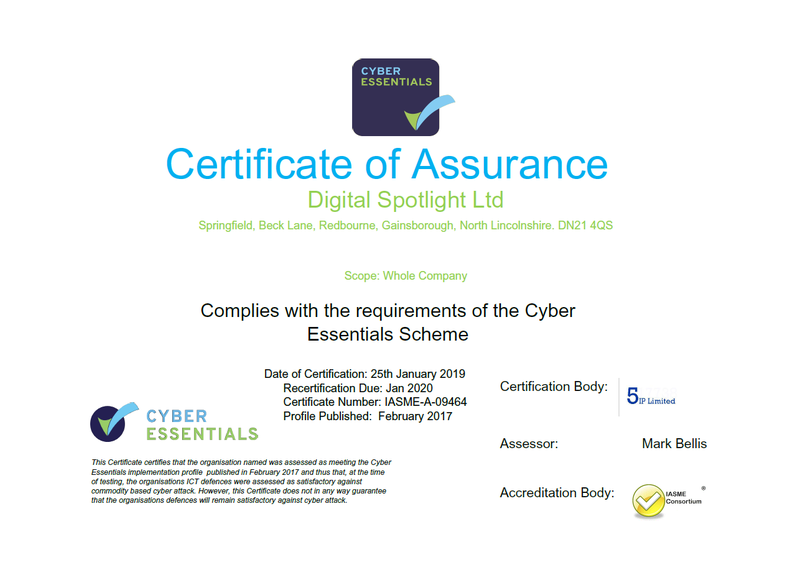 Digital Spotlight will make no SEO promises, but what we can offer is honest SEO advice and the use of our SEO tools provided within our CMS (Content Management System), to help you achieve your realistic SEO targets. The SEO tools all come with the latest Google and industry help and advice. 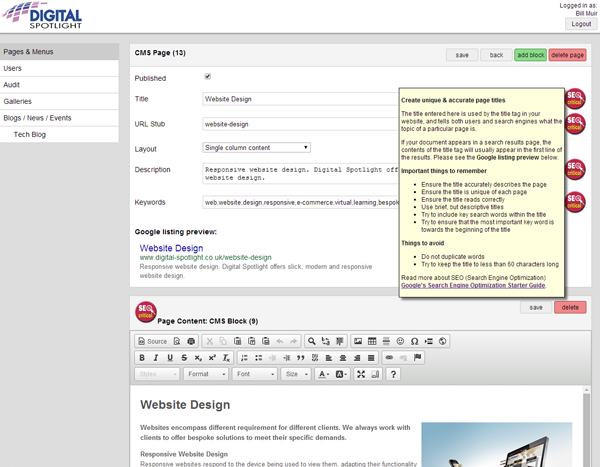 Big changes are currently happening with search engines and rankings. 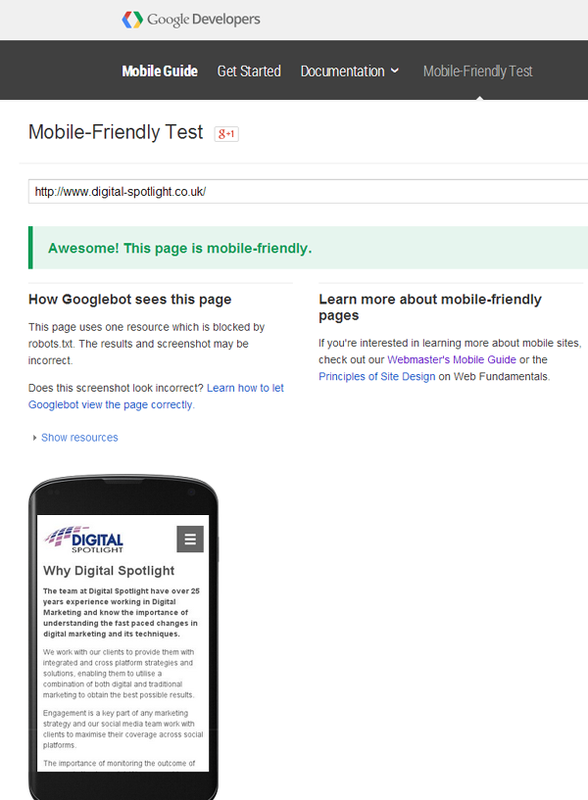 Firstly Google announced that it has now made it easier to find mobile-friendly websites by making them appear higher on search results. Google search will also now start displaying and ranking content from mobile apps. 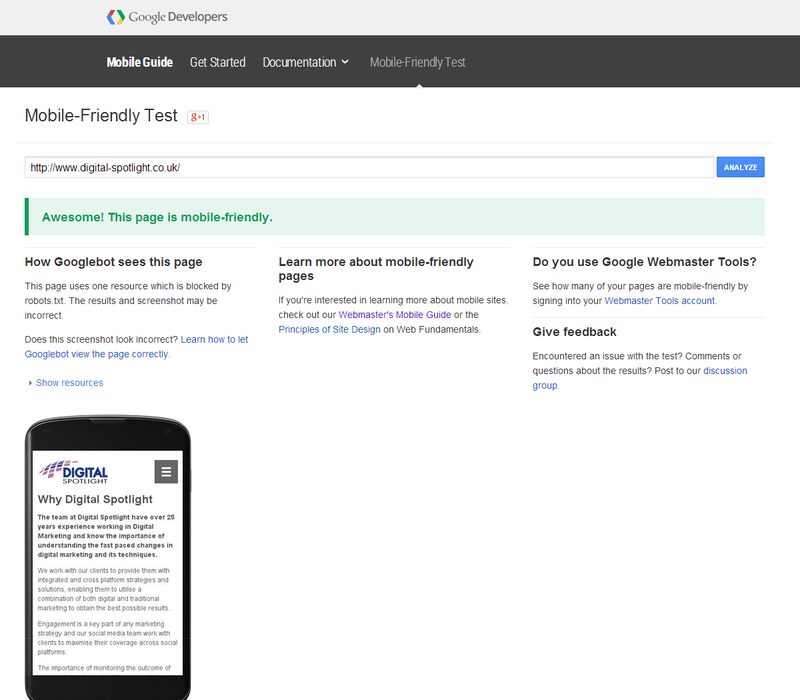 Test your current website at https://www.google.com/webmasters/tools/mobile-friendly/ to see if you are "Mobile Friendly". All Digital Spotlights websites are "Mobile Friendly" and we achieve this by using the latest in Responsive Design Technologies. 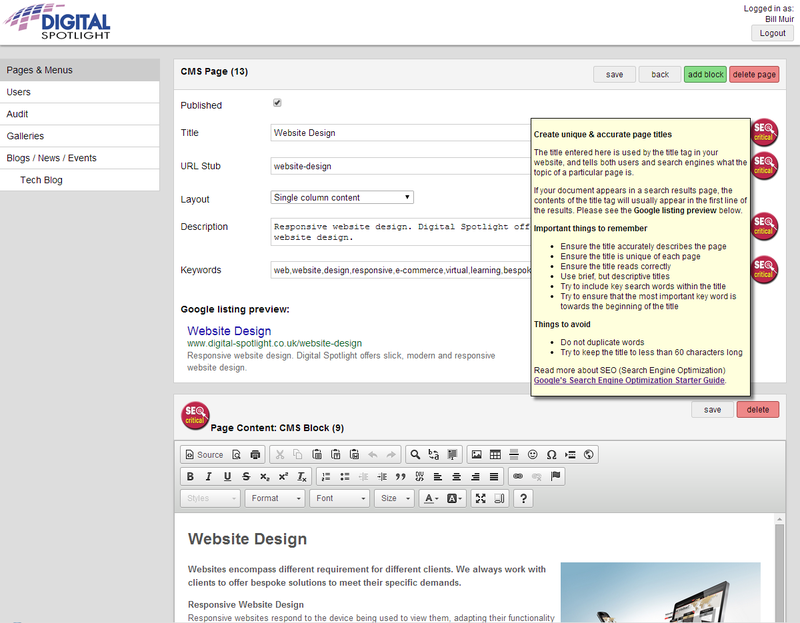 Read more about SEO (Search Engine Optimization) Google's Search Engine Optimization Starter Guide.